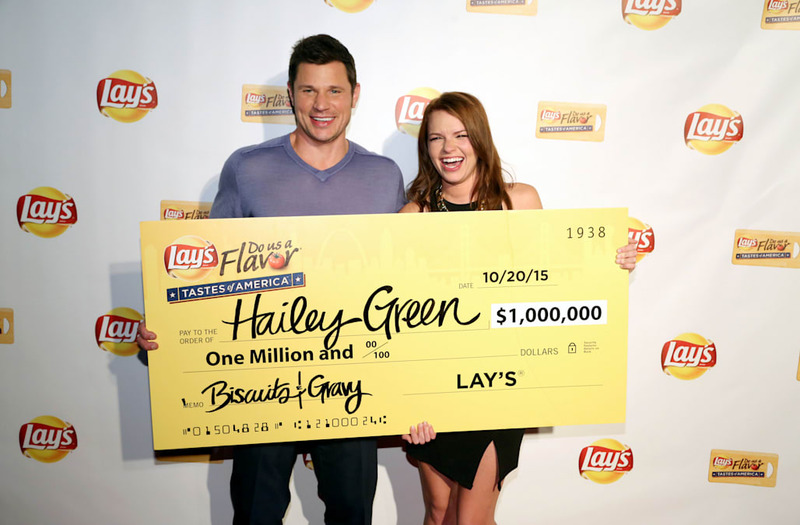 Meet Hailey Green, a 25-year-old from Noblesville, Indiana and the winner of Lay's Do Us A Flavor contest. Her creation of Southern Biscuits and Gravy Lay's chips beat out the other three semi-finalists: Kettle Cooked Greektown Gyro, New York Reuben, and Wavy West Coast Truffle Fries. The "Do Us A Flavor" contest was voted on by millions of consumers, and singer Nick Lachey crowned the flavor winner on Tuesday night. Congratulations Hailey! While Southern Biscuits and Gravy is the ultimate winner, we want to know which of the four semi-finalists was your personal favorite?